The mtDNA sequence obtained from the rib (HVRI motif: 126 193 311) is a J2 and it was only described twice in a database of 6216 sequences , once in the Middle East and once in Italy (frequency 0.00032). 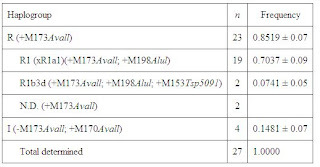 The tooth mtDNA sequence, on the contrary, is more frequent; it is an H* (HVR I motif: 129), found 52 times in the same database (frequency 0.008365) among various sites in Italy (N = 2), Iberia (N = 27), the Middle East (N = 4) and Souss (North Africa) (N = 1). The reassembled skeleton bore evidence of injuries compatible with those mentioned by Petrarca during his lifetime. Interestingly Petrarch was from Tuscany, which may be relevant given the recent work on the origins of the Etruscans. Genetic analysis of the skeletal remains attributed to Francesco Petrarca. We report on the mitochondrial DNA (mtDNA) analysis of the supposed remains of Francesco Petrarca exhumed in November 2003, from the S. Maria Assunta church, in Arqua Padua (Italy) where he died in 1374. The optimal preservation of the remains allowed the retrieval of sufficient mtDNA for genetic analysis. DNA was extracted from a rib and a tooth and mtDNA sequences were determined in multiple clones using the strictest criteria currently available for validation of ancient DNA sequences, including independent replication. MtDNA sequences from the tooth and rib were not identical, suggesting that they belonged to different individuals. Indeed, molecular gender determination showed that the postcranial remains belonged to a male while the skull belonged to a female. Historical records indicated that the remains were violated in 1630, possibly by thieves. These results are consistent with morphological investigations and confirm the importance of integrating molecular and morphological approaches in investigating historical remains. This is the EurekAlert release; I did not see the PNAS article online yet. The first direct evidence that early Europeans were unable to digest milk has been found by scientists at UCL (University College London) and Mainz University. In a study, published in the journal 'PNAS', the team shows that the gene that controls our ability to digest milk was missing from Neolithic skeletons dating to between 5840 and 5000 BC. However, through exposure to milk, lactose tolerance evolved extremely rapidly, in evolutionary terms. Today, it is present in over ninety per cent of the population of northern Europe and is also found in some African and Middle Eastern populations but is missing from the majority of the adult population globally. Dr Mark Thomas, UCL Biology, said: "The ability to drink milk is the most advantageous trait that's evolved in Europeans in the recent past. Without the enzyme lactase, drinking milk in adulthood causes bloating and diarrhoea. Although the benefits of milk tolerance are not fully understood yet, they probably include: the continuous supply of milk compared to the boom and bust of seasonal crops; its nourishing qualities; and the fact that it's uncontaminated by parasites, unlike stream water, making it a safer drink. All in all, the ability to drink milk gave some early Europeans a big survival advantage." The team carried out DNA tests on Neolithic skeletons from some of the earliest organised farming communities in Europe. Their aim was to find out whether these early Europeans from various sites in central, northeast and southeast Europe, carried a version of the lactase gene that controls our ability to produce the essential enzyme lactase into adulthood. The team found that it was absent from their ancient bone DNA. This led the researchers to conclude that the consumption and tolerance of milk would have been very rare or absent at the time. Scientists have known for decades that at some point in the past all humans were lactose intolerant. What was not known was just how recently lactose tolerance evolved. Dr Thomas said: "To go from lactose tolerance being rare or absent seven to eight thousand years ago to the commonality we see today in central and northern Europeans just cannot be explained by anything except strong natural selection. Our study confirms that the variant of the lactase gene appeared very recently in evolutionary terms and that it became common because it gave its carriers a massive survival advantage. Scientists have inferred this already through analysis of genes in today's population but we've confirmed it by going back and looking at ancient DNA." This study challenges the theory that certain groups of Europeans were lactose tolerant and that this inborn ability led the community to pursue dairy farming. Instead, they actually evolved their tolerance of milk within the last 8000 years due to exposure to milk. Dr Thomas said: "There were two theories out there: one that lactose tolerance led to dairy farming and another that exposure to milk led to the evolution of lactose tolerance. This is a simple chicken or egg question but one that is very important to archaeologists, anthropologists and evolutionary biologists. We found that the lactose tolerance variant of the lactase gene only became common after dairy farming, which started around 9 thousand years ago in Europe. "This is just one part of the picture researchers are gathering about lactose tolerance and the origins of Europeans. Next on the list is why there is such disparity in lactose tolerance between populations. It's striking, for example, that today around eighty per cent of southern Europeans cannot tolerate lactose even though the first dairy farmers in Europe probably lived in those areas. Through computer simulations and DNA testing we are beginning to get glimpses of the bigger early European picture." Lactase persistence (LP), the dominant Mendelian trait conferring the ability to digest the milk sugar lactose in adults, has risen to high frequency in central and northern Europeans in the last 20,000 years. This trait is likely to have conferred a selective advantage in individuals who consume appreciable amounts of unfermented milk. Some have argued for the "culture-historical hypothesis," whereby LP alleles were rare until the advent of dairying early in the Neolithic but then rose rapidly in frequency under natural selection. Others favor the "reverse cause hypothesis," whereby dairying was adopted in populations with preadaptive high LP allele frequencies. Analysis based on the conservation of lactase gene haplotypes indicates a recent origin and high selection coefficients for LP, although it has not been possible to say whether early Neolithic European populations were lactase persistent at appreciable frequencies. We developed a stepwise strategy for obtaining reliable nuclear ancient DNA from ancient skeletons, based on (i) the selection of skeletons from archaeological sites that showed excellent biomolecular preservation, (ii) obtaining highly reproducible human mitochondrial DNA sequences, and (iii) reliable short tandem repeat (STR) genotypes from the same specimens. By applying this experimental strategy, we have obtained high-confidence LP-associated genotypes from eight Neolithic and one Mesolithic human remains, using a range of strict criteria for ancient DNA work. We did not observe the allele most commonly associated with LP in Europeans, thus providing evidence for the culture-historical hypothesis, and indicating that LP was rare in early European farmers. The Talpiot Tomb could be soon the most famous holy relic in the Christian empire. Canadian Titanic director James Cameron and filmmaker archeologist Simcha Jacobovici have set to prove that it once held the remains of Jesus of Nazareth and his family. The evidence and interpretations of the artifacts will be presented in a documentary “The Lost Tomb of Jesus” on the Discovery Channel March 4th on the Discovery Channel at 9 p.m. ET/PT. According to a Discovery Channel press release, “scientific evidence, including DNA analysis conducted at one of the world’s foremost molecular genetics laboratories, as well as studies by leading scholars, suggests a 2,000-year-old Jerusalem tomb could have once held the remains of Jesus of Nazareth and his family. The findings also suggest that Jesus and Mary Magdalene might have produced a son named Judah.”The tomb was unearthed for the third time in 1980 as construction crews blasted for new apartments in the town of Talpiot, a suburb south of Jerusalem. I have no idea how the DNA analysis will support the claims of the documentary, but this will certainly be interesting, since it is the first, as far as I know, DNA analysis on ancient human remains from the region. Cinemablend makes plain why DNA analysis is irrelevant for the authors' thesis. I suspect that the DNA evidence could at most establish a genetic relationship between the individuals buried in the tomb, something which is not surprising, but does not connect the tomb to a particular person. More interesting would be the correlation of the ancient DNA with types of DNA we suspect may have been present in ancient Israelites, but once again this would not tie the remains with a particular person. The Discovery Channel article has more information. Since tombs normally contain either blood relations or spouses, Jacobovici and his team suggest it is possible Jesus and Mary Magdalene were a couple. "Judah," whom they indicate may have been their son, could have been the "lad" described in the Gospel of John as sleeping in Jesus' lap at the Last Supper. But Andrey Feuerverger, professor of statistics and mathematics at the University of Toronto, recently conducted a study addressing the probabilities that will soon be published in a leading statistical journal. Feuerverger multiplied the instances that each name appeared during the tomb's time period with the instances of every other name. He initially found "Jesus Son of Joseph" appeared once out of 190 times, Mariamne appeared once out of 160 times and so on. To be conservative, he next divided the resulting numbers by 25 percent, a statistical standard, and further divided the results by 1,000 to attempt to account for all tombs — even those that have not been uncovered — that could have existed in first century Jerusalem. The study concludes that the odds are at least 600 to 1 in favor of the Talpiot Tomb being the Jesus Family Tomb. In other words, the conclusion works 599 times out of 600. I suspect that this whole deal will inspire a new Da Vinci Code-style controversy. Unfortunately though, according to the Da Vinci Code Jesus and Mary Magdalene had a daughter and not a son, so it seems that the two theories are incompatible with each other. In any case, it's nice to see a really interdisciplinary approach being applied to a concrete historical question, and I would bet that whatever the final scientific verdict, we'll soon see Mary mtDNA tests coming to market. Y-chromosomal STR haplotypes in Kalmyk population samples. Roewer L, Kruger C, Willuweit S, Nagy M, Rodig H, Kokshunova L, Rothamel T, Kravchenko S, Jobling MA, Stoneking M, Nasidze I. The area between the Dniester and the eastern Carpathian mountain range is at a geographical crossroads between eastern Europe and the Balkans. Little is known about the genetics of the population of this region. We performed an analysis of 12 binary autosomal markers in samples from six Dniester–Carpathian populations: two Moldavian, one Romanian, one Ukrainian and two Gagauz populations. The results were compared with gene frequency data from culturally and linguistically related populations from Southeast Europe and Central Asia. Small genetic differences were found among southeastern European populations (in particular those of the Dniester–Carpathian region). The observed homogeneity suggests either a very recent common ancestry of all southeastern European populations or strong gene flow between them. Despite this low level of differentiation, tree reconstruction and principle component analyses allowed a distinction between Balkan–Carpathian (Macedonians, Romanians, Moldavians, Ukrainians and Gagauzes) and eastern Mediterranean (Turks, Greeks and Albanians) population groups. The genetic affinities among Dniester–Carpathian and southeastern European populations do not reflect their linguistic relationships. The results indicate that the ethnic and genetic differentiations occurred in these regions to a considerable extent independently of each other. In particular, Gagauzes, a Turkic-speaking population, show closer affinities to their geographical neighbors than to other Turkic populations. The origins of the ancient Egyptian state and its formation have received much attention through analysis of mortuary contexts, skeletal material, and trade. Genetic diversity was analyzed by studying craniometric variation within a series of six time-successive Egyptian populations in order to investigate the evidence for migration over the period of the development of social hierarchy and the Egyptian state. Craniometric variation, based upon 16 measurements, was assessed through principal components analysis, discriminant function analysis, and Mahalanobis D2 matrix computation. Spatial and temporal relationships were assessed by Mantel and Partial Mantel tests. The results indicate overall population continuity over the Predynastic and early Dynastic, and high levels of genetic heterogeneity, thereby suggesting that state formation occurred as a mainly indigenous process. Nevertheless, significant differences were found in morphology between both geographically-pooled and cemetery-specific temporal groups, indicating that some migration occurred along the Egyptian Nile Valley over the periods studied. The recent articles on Etruscan origins argue in favor of the non-indigenous theory of Etruscan origins. In the same light, I was looking at the other recent paper on Y chromosome variation in Italy, and I was struck by the elevated frequency (7%) of J*(xJ2) in Central Tuscany. J*(xJ2) occurs at higher frequencies in the Near East than in Europe. For example, in Cinnioglu's study of Anatolian Y chromosomes it occurred at a frequency of around 9%, while the frequency in Greece (pdf) is 2%. The fact that J*(xJ2) reaches its Italian maximum in Central Tuscany, approaching the Anatolian figure, and being higher than that of Greece is consistent with the emerging consensus. Let's hope that Y chromosome analysis of Etruscan remains will be feasible to directly test for the presence of J*(xJ2) in them. PS: Interestingly, Sicily and Cyprus also show an elevated frequency of J*(xJ2) (pdf). The Phoenician presence or other historical events could explain this, but as far as I know (?) there is no documented substantial presence of Phoenicians in Tuscany, making the alternative Anatolian origin more likely. I think that a more likely explanation may be that our modern reconstructions of a trireme as well as the way the ship is used are not really as good as they can be. It should be remembered that the trireme reconstruction is based primarily on literary and artistic evidence and a lot of guesswork. Still, this is an interesting piece of work. Also, the ancient literary accounts giving a measure of distance/time are not really exact, and it should also be remembered that the nautical feats that were recorded were exceptional when triremes had to cover distances in a hurry, and do not represent the average performance of the ancient sailors. We may not be as fit as the people of ancient Athens, despite all that modern diet and training can provide, according to research by University of Leeds (UK) exercise physiologist, Dr Harry Rossiter. Dr Rossiter measured the metabolic rates of modern athletes rowing a reconstruction of an Athenian trireme, a 37m long warship powered by 170 rowers seated in three tiers. Using portable metabolic analysers, he measured the energy consumption of a sample of the athletes powering the ship over a range of different speeds to estimate the efficiency of the human engine of the warship. The research is published in New Scientist . By comparing these findings to classical texts that record details of their endurance, he realised that the rowers of ancient Athens -- around 500BC -- would had to have been highly elite athletes, even by modern day standards. Says Dr Rossiter: "Ancient Athens had up to 200 triremes at any one time, and with 170 rowers in each ship, the rowers were clearly not a small elite. Yet this large group, it seems, would match up well with the best of modern athletes. Either ancient Athenians had a more efficient way of rowing the trireme or they would have to be an extremely fit group. Our data raise the interesting notion that these ancient athletes were genetically better adapted to endurance exercise than we are today." Dr Rossiter worked closely with Professor Boris Rankov, Professor of Classics at Royal Holloway, University of London to interpret the details of the endurance of the ancient rowers from classical texts. Many of these texts were originally collected and used to estimate sustainable ship speeds in The Athenian Trireme (CUP, 2rd edition 2000), which Professor Rankov co-authored. For example, one account talks of the Athenians quelling a revolt in Mytilene on the island of Lesbos in the eastern Aegean. The Athenian assembly ordered all Mytiline's men to death, and despatched a trireme to carry out this command. The next day, the assembly relented and sent a second trireme to halt the massacre. According to the records of Thucydides, this second trireme would have made the journey in about 24 hours, rowing in shifts and eating while they rowed, so the ship could travel non-stop. Says Dr Rossiter: "From these details we can estimate the average sustainable ship speeds. Then, using the reconstruction we measured the metabolic demands of the human engine required to sustain these speeds. If the historians are correct, we would struggle to find enough people at that level of fitness today to power the ships at those speeds." Triremes were a huge technological advance, allowing Athens to dominate the seas. They had a strong keel, taken forward into a huge spike covered in bronze plates, which meant they could ram and hole enemy ships -- a new technique in naval warfare. To ensure sufficient impact to cause damage, the triremes had to reach great speeds -- so were designed with more than three times more rowers than earlier warships. By placing the rowers on three tiers, the ship could remain a manoeuvrable length and weight. The trireme used in Dr Rossiter's research, Olympias, was built in the 1980s and was used to carry the Olympic flame to Piraeus, the port near Athens, at the start of the last Olympic Games. It is now housed in a museum in Piraeus. Athens - Ancient Greek graves holding the remains of warriors slain in the Peloponnesian War, one of antiquity's deadliest conflicts, will soon be accessible to visitors in Athens, an archaeologist said on Wednesday. "We have the remains of Athenian warriors of the Peloponnesian War carried there from battlefield funeral pyres," supervising archaeologist Haris Stoupa told reporters. "We're not sure of the exact battle as we were not fortunate enough to find engravings," she added. Discovered in the Athens district of Kerameikos in 1997, the site is part of a one-kilometre-wide cemetery dedicated to Athenian warriors and prominent citizens that still lies mostly buried under modern buildings. The cemetery was created shortly after the Battle of Marathon against the Persians in 480 BC and remained in use until the Roman Wars against Carthage, Stoupa said. According to 2nd-century Greek chronicler Pausanias, among heroes buried there is Pericles, leader of Athens during the city-state's golden era that saw the building of the Parthenon. Archaeologists will place a protective canopy over the site to enable visitors to see into the graves, Stoupa said. The project will be completed in 2008.
with related conflicts in Asia Minor and Sicily. It was a disaster for Athens, and established Sparta as the dominant power in ancient Greece. Feb. 16, 2007 — Sections of an ancient Greek theater were discovered on Thursday during construction work in an Athens suburb, archaeologists said. The village was linked with Dionysos, the ancient god of theater and wine, as the Athenians believed that ivy — his sacred plant — first grew there. Theater first emerged as an art form in late 6th century B.C. Athens, where ancient playwrights competed for a prize during the annual festival of Dionysos — in whose cult the art originated. The recent article on Etruscan mtDNA contains a useful overview table of mtDNA haplogroups in several West Eurasian (Caucasoid) populations, collected from both this study as well as the literature. Extracted from this table is the following table of mtDNA L (Sub-Saharan African) sequences in the listed populations. 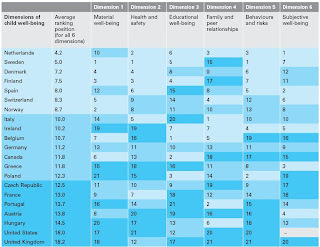 Scroll down because blogger added a lot of vertical space above the table. A reader alerted me to a new paper by Noah Rosenberg et al. which studied the genomic ancestry of Indian populations. The paper is in PLoS Genetics, and is thus free to read. I just reproduce the results of the STRUCTURE analysis for ease of reference. We found that allele frequencies in India showed detectably greater similarity to populations in Europe and the Middle East than to those in East Asia (Figure 4). This result is consistent with the fact that the cluster corresponding to India in Figure 2A subdivides a previously obtained cluster corresponding to Europe, the Middle East, and Central/South Asia . This observation, together with the reasonably strong support in the neighbor-joining tree for particular groupings within India, suggests that a detectable amount of population structure does exist in the Indian data and that the addition of more loci might cause clusters corresponding to specific subsets of the Indian sample to become distinguishable. It is noteworthy, however, that in previous analyses of other geographic regions [19,28] using smaller numbers of markers, subclusters have been more easily identifiable elsewhere than was seen here for India with 1,200 markers. Noah A. Rosenberg et al. Ongoing modernization in India has elevated the prevalence of many complex genetic diseases associated with a western lifestyle and diet to near-epidemic proportions. However, although India comprises more than one sixth of the world's human population, it has largely been omitted from genomic surveys that provide the backdrop for association studies of genetic disease. Here, by genotyping India-born individuals sampled in the United States, we carry out an extensive study of Indian genetic variation. We analyze 1,200 genome-wide polymorphisms in 432 individuals from 15 Indian populations. We find that populations from India, and populations from South Asia more generally, constitute one of the major human subgroups with increased similarity of genetic ancestry. However, only a relatively small amount of genetic differentiation exists among the Indian populations. Although caution is warranted due to the fact that United States–sampled Indian populations do not represent a random sample from India, these results suggest that the frequencies of many genetic variants are distinctive in India compared to other parts of the world and that the effects of population heterogeneity on the production of false positives in association studies may be smaller in Indians (and particularly in Indian-Americans) than might be expected for such a geographically and linguistically diverse subset of the human population. The Etruscan culture developed in Central Italy (Etruria) in the first millennium BC and for centuries dominated part of the Italian Peninsula, including Rome. The history of the Etruscans is at the roots of Mediterranean culture and civilization, but their origin is still debated: local or Eastern provenance? To shed light on this mystery, bovine and human mitochondrial DNAs (mtDNAs) have been investigated, based on the well-recognized strict legacy which links human and livestock populations. In the region corresponding to ancient Etruria (Tuscany, Central Italy), several Bos taurus breeds have been reared since historical times. These breeds have a strikingly high level of mtDNA variation, which is found neither in the rest of Italy nor in Europe. The Tuscan bovines are genetically closer to Near Eastern than to European gene pools and this Eastern genetic signature is paralleled in modern human populations from Tuscany, which are genetically close to Anatolian and Middle Eastern ones. The evidence collected corroborates the hypothesis of a common past migration: both humans and cattle reached Etruria from the Eastern Mediterranean area by sea. Hence, the Eastern origin of Etruscans, first claimed by the classic historians Herodotus and Thucydides, receives strong independent support. As the Latin philosopher Seneca wrote: Asia Etruscos sibi vindicat (Asia claims the Etruscans back). A new book which proposes that human health and lifespan will deteriorate because our bodies are no longer adapted in the increasingly foreign environment in which we find ourselves. I think that there is a three-way race between evolution, cultural change, and medical science. We may very well have sub-optimal genes for our modern environments, and evolution may not be able to catch up with the rates of cultural change, but medical science -by default- allows human beings to counterbalance our natural shortcomings. Until today, it has seemed to won the race, as increasing human lifespans indicate, but perhaps not into the future. We have built a world that no longer fits our bodies. Our genes - selected through our evolution - and the many processes by which our development is tuned within the womb, limit our capacity to adapt to the modern urban lifestyle. There is a mismatch. We are seeing the impact of this mismatch in the explosion of diabetes, heart disease and obesity. But it also has consequences in earlier puberty and old age. Bringing together the latest scientific research in evolutionary biology, development, medicine, anthropology and ecology, Peter Gluckman and Mark Hanson, both leading medical scientists, argue that many of our problems as modern-day humans can be understood in terms of this fundamental and growing mismatch. It is an insight that we ignore at our peril. Infection of the stomach by Helicobacter pylori is ubiquitous among humans. However, although H. pylori strains from different geographic areas are associated with clear phylogeographic differentiation1, 2, 3, 4, the age of an association between these bacteria with humans remains highly controversial5, 6. Here we show, using sequences from a large data set of bacterial strains that, as in humans, genetic diversity in H. pylori decreases with geographic distance from east Africa, the cradle of modern humans. We also observe similar clines of genetic isolation by distance (IBD) for both H. pylori and its human host at a worldwide scale. Like humans, simulations indicate that H. pylori seems to have spread from east Africa around 58,000 yr ago. Even at more restricted geographic scales, where IBD tends to become blurred, principal component clines in H. pylori from Europe strongly resemble the classical clines for Europeans described by Cavalli-Sforza and colleagues7. Taken together, our results establish that anatomically modern humans were already infected by H. pylori before their migrations from Africa and demonstrate that H. pylori has remained intimately associated with their human host populations ever since. Furthermore, PC3 and PC4, respectively, emphasize the separation of the Basques and Finns from other Europeans (Figure 5). The Basques are known to have unusual allele frequencies for several marker systems24 and speak a unique non-Indo-European language. In line with their non-Indo-European Uralic language and previous Y-chromosome work,25 the Finns show evidence of an increased affinity to the Central Asian populations when placed in an inter-continental context (Figure 1A and 1B). For the Asiatic origins of the main Finnish Y-chromosome haplogroup N, mentioned in the paragraph, see here. Note that for K=2, the main separation is between Sub-Saharans and the rest. Observe also that the east African Burunge -unlike the Mende- exhibit participation in the Eurasian cluster. As I have argued before, east Africa is a transitional zone between Sub-Saharan Africa and Eurasia. For K=3 the Negroids are separated from the Caucasoids, and the blue cluster encompasses Mongoloids, Brahmins, and the Indian Mala caste. This is again expected, since Mongoloids (from the Altai) and South Asians share deep ancestry, evidenced e.g., by the mtDNA superhaplogroup M. Note also that Finns participate in this Asian cluster. For K=4 the distinction between Mongoloids and South Asians becomes apparent. The Finns are now aligned partly with the Altaians, a relationship which persists for higher K.
For K=6 an interesting cluster encompassing mainly populations from the Mediterranean (plus Armenians) emerges. As for the Greeks, they exhibit no substantial participation in the non-Caucasoid clusters. Note however, small Sub-Saharan contributions in the North African, Middle Eastern populations, in accordance with the previous evidence for elevated Sub-Saharan mtDNA in Arabic speaking populations. differentiation over small distances. Some Italians cluster with the Northern Europeans while others fall into the Southeastern grouping (Figure 2A). The similarity between Greece and Armenia is interesting in light of the historical evidence of the Balkan origins of the Phrygo-Armenians that I have blogged about before. The differentiation of Italians is probably due both to the Hellenic-Anatolian origins of some Italians from antiquity, as well as the Northern European origins of others, especially since the fall of the Western Roman Empire. Update (Feb 9). It escaped my notice that a light blue cluster centered on the Burunge emerges at K=5. This element in their ancestry, differentiating them from the Mende seems to be specific to them among studied populations, and is assigned to the yellow (Caucasoid) cluster for lower K. This confirms my suggestions for an indigenous (non-Negroid) east African element which is related to the Caucasoids. prominently in a North-Southeastern trend, but also along an East-West axis. We also demonstrate the selection and application of EuroAIMs (European Ancestry Informative Markers) for ancestry estimation and correction. The Coriell “Caucasian” and CEPH Utah sample panels, often used as proxies for European populations, are found to reflect different subsets of the continent’s ancestry. For admixture mapping studies in Mexican Americans (MAM) we define a genome-wide SNP panel that can distinguish between chromosomal segments of Amerindian (AMI) or European (EUR) ancestry. These studies used genotypes for > 400K SNPs defined in EUR and both Pima and Mayan AMI to define a set of ancestry informative markers (AIMs). The use of two AMI populations was necessary to remove a subset of SNPs that distinguished genotypes of only one AMI subgroup from EUR genotypes. The AIMs set contained 8144 SNPs separated by a minimum of 50 kb with only three intermarker intervals >1 Mb and had EUR/AMI Fst values > 0.30 (mean Fst = 0.48), and Mayan/Pima Fst values < 0.05 (mean Fst < 0.01). Analysis of a subset of these SNP AIMs suggested that this panel may also distinguish ancestry between EUR and other disparate AMI groups including Quechuan from South America. We show, using realistic simulation parameters which are based on our analyses of MAM genotyping results, that this panel of SNP AIMs provides good power for detecting disease-associated chromosomal segments for genes with modest ethnicity risk ratios. A reduced set of 5287 SNP AIMs captured almost the same admixture mapping information but smaller SNP sets show substantial drop-off in admixture mapping information and power. The results will enable studies of type 2 diabetes, rheumatoid arthritis and other diseases where epidemiological studies suggest differences in the distribution of ancestry associated susceptibility. Let's hope that scientists and politicians around the world stand firm against this kind of muddle-headedness. Warning bells always go off in my head when I read that modern populations, especially in "central" world areas such as Italy are the result of prehistoric events and untouched by modern events. In particular, this seems to be the result of phylogenetic resolution within haplogroups, as well as the indiscriminate use of relevant "source" populations for proposed historical movements. A recent article on Indian Y chromosomes was a prime example of this tendency, rejecting the contribution of Central Asian Indo-Aryan speakers on the basis of modern Central Asians, who as I pointed out, possess Y chromosome types that were added in recent historical times by Altaic speakers who inundated the area. I will restate my thesis that modern gene pools, especially for Y chromosome ones, were shaped to a much greater extent by historical events than is currently accepted. So far, the mtDNA evidence is accumulating about sharp differences between modern and ancient inhabitants in various localities, making the idea of continuity since the Neolithic or even the Paleolithic more doubtful. The caricature of genetic history as a Paleolithic substratum with limited Neolithic adstrata and negligible historical influences will no doubt be revealed in the years to come. Y chromosome genetic variation in the Italian peninsula is clinal and supports an admixture model for the Mesolithic-Neolithic encounter. Capelli C, Brisighelli F, Scarnicci F, Arredi B, Caglia' A, Vetrugno G, Tofanelli S, Onofri V, Tagliabracci A, Paoli G, Pascali VL. The Italian peninsula, given its geographical location in the middle of the Mediterranean basin, was involved in the process of the peopling of Europe since the very beginning, with first settlements dating to the Upper Paleolithic. Later on, the Neolithic revolution left clear evidence in the archeological record, with findings going back to 7000 B.C. We have investigated the demographic consequences of the agriculture revolution in this area by genotyping Y chromosome markers for almost 700 individuals from 12 different regions. Data analysis showed a non-random distribution of the observed genetic variation, with more than 70% of the Y chromosome diversity distributed along a North-South axis. While the Greek colonisation during classical time appears to have left no significant contribution, the results support a male demic diffusion model, even if population replacement was not complete and the degree of Neolithic admixture with Mesolithic inhabitants was different in different areas of Italy. It seems that the ancient authors who recorded the eastern origin of the Etruscans are vindicated. This is from a preprint in AJHG. The origin of the Etruscan people has been a source of major controversy for the past 2,500 years and several hypotheses have been proposed to explain their language and sophisticated culture, including an Aegean / Anatolian origin. 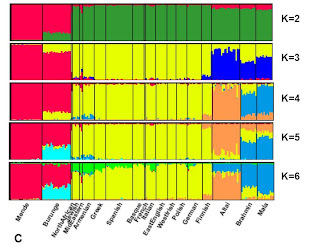 To address this issue, we analyzed the mitochondrial DNA (mtDNA) of 322 subjects from three well-defined areas of Tuscany and compared their sequence variation with that of 55 Western Eurasian populations. Interpopulation comparisons reveal that the modern population of Murlo – a small town of Etruscan origin – is characterized by an unusually high frequency (17.5%) of Near Eastern mtDNA haplogroups. Each of these haplogroups is represented by different haplotypes, thus dismissing the possibility that the genetic allocation of the Murlo people is due to drift. Other Tuscan populations do not show the same striking feature; however, overall ~5% of mtDNA haplotypes in Tuscany are shared exclusively between Tuscans and Near Easterners and occupy terminal positions in the phylogeny. These findings support a direct and rather recent genetic input from the Near East – a scenario in agreement with the Lydian origin of Etruscans. Such a genetic contribution has been extensively diluted by admixture, but it appears that there are still locations in Tuscany, such as Murlo, where traces of its arrival are readily detectable. A nice new study combining Y-haplogroups and STR polymorphisms has appeared. We investigated Y chromosomal binary and STR polymorphisms in 263 unrelated male individuals from the Japanese population and further examined the relationships between the two separate types of data. Using 47 biallelic markers we distinguished 20 haplogroups, four of which (D2b1/-022457, O3/-002611*, O3/-LINE1 del, and O3/-021354*) were newly defined in this study. Most haplogroups in the Japanese population are found in one of the three major clades, C, D, or O. Among these, two major lineages, D2b and O2b, account for 66% of Japanese Y chromosomes. Haplotype diversity of binary markers was calculated at 86.3%. The addition of 16 Y-STR markers increased the number of haplotypes to 225, yielding a haplotype diversity of 99.40%. A comparison of binary haplogroups and Y-STR type revealed a close association between certain binary haplogroups and Y-STR allelic or conformational differences, such as those at the DXYS156Y, DYS390m, DYS392, DYS437, DYS438 and DYS388 loci. Based on our data on the relationships between binary and STR polymorphisms, we estimated the binary haplogroups of individuals from STR haplotypes and frequencies of binary haplogroups in other Japanese, Korean and Taiwanese Han populations. The present data will enable researchers to connect data from binary haplogrouping in anthropological studies and Y-STR typing in forensic studies in East Asian populations, especially those in and around Japan. I had previously posted that Thomas Jefferson belonged to haplogroup K2, a relatively rare haplogroup. Now, a study has appeared which places his Y chromosome in a global context. We have characterized the Y chromosome carried by President Thomas Jefferson, the general rarity of which supported the idea that he, or a patrilineal relative, fathered the last son of his slave Sally Hemings. It belongs to haplogroup K2, a lineage representing only 1% of chromosomes worldwide, and most common in East Africa and the Middle East. Phylogenetic network analysis of its Y-STR (short tandem repeat) haplotype shows that it is most closely related to an Egyptian K2 haplotype, but the presence of scattered and diverse European haplotypes within the network is nonetheless consistent with Jefferson's patrilineage belonging to an ancient and rare indigenous European type. This is supported by the observation that two of 85 unrelated British men sharing the surname Jefferson also share the President's Y-STR haplotype within haplogroup K2. Our findings represent a cautionary tale in showing the difficulty of assigning individual ancestry based on a Y-chromosome haplotype, particularly for rare lineages where population data are scarce. I had blogged about this research when it appeared in a conference, but now the article has been published in a journal. This is definitely a paper that will spark interest although it is quite "heretical" in the sense that it defies the consensus interpretation of recent genetic studies. I expect that there will be responses from the "Out of Africa" camp in the next year. I will comment further on the paper if I have time to read it. Alan R. Rogers et al. Previous studies have found that at most human loci, ancestral alleles are "African," in the sense that they reach their highest frequency there. Conventional wisdom holds that this reflects a recent African origin of modern humans. This paper challenges that view, first by showing that the empirical pattern (of elevated allele frequencies within Africa) is not as pervasive as has been thought. We confirm this African bias in a set of mainly protein-coding loci, but find a smaller bias in insertion polymorphisms, and an even smaller bias in non-coding loci. Thus, the strong bias that was originally observed must reflect some factor that varies among data sets—something other than population history. This factor may be the per-locus mutation rate: the African bias is most pronounced in loci where this rate is high. The distribution of ancestral alleles among populations has been studied using two methods. One of these involves comparing the fractions of loci that reach maximal frequency in each population. The other compares the average frequencies of ancestral alleles. The first of these methods reflects history in a manner that depends on the mutation rate. When that rate is high, ancestral alleles at most loci reach their highest frequency in the ancestral population. When that rate is low, the reverse is true. The other method—comparing averages—is unresponsive. Average ancestral allele frequencies are affected neither by mutation rate nor by the history of population size and migration. In the absence of selection and ascertainment bias, they should be the same everywhere. This is true of one data set, but not of two others. This also suggests the action of some factor, such as selection or ascertainment bias, that varies between data sets.